09 Jun 2016 by Alex English in category | Be the first to comment here. 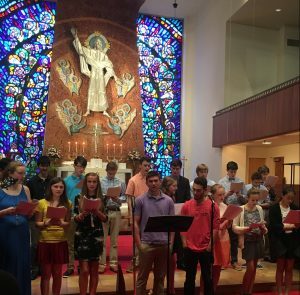 In addition to serving in worship as acolytes, crucifers, lectors, prayer assistants, and ushers, our youth have been doing lots of fun things lately! 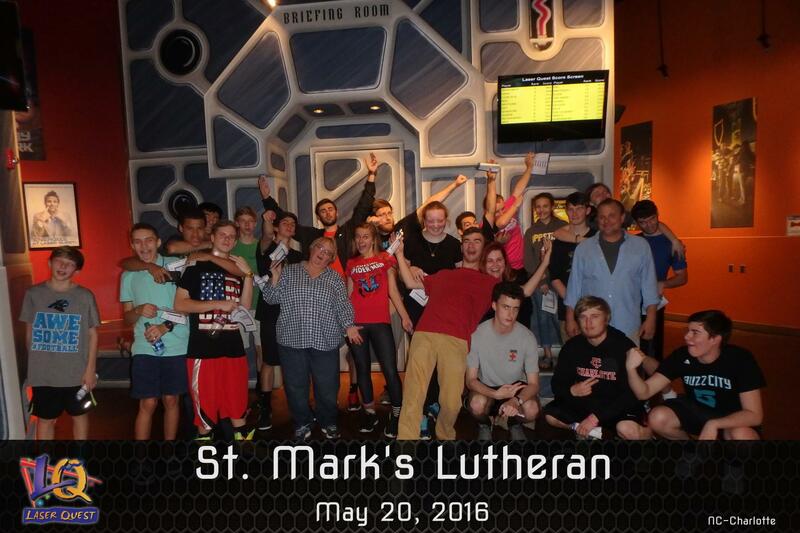 Our Confirmation Class (for 6-8 graders) and our High School Sunday School finished up their classes in May. The Confirmation Class met with the pastors to discuss Luther’s Small Catechism and to learn about how this nearly 500 year old text still has so much to offer us today. The High School Sunday School class finished up discussions about life after high school, and how to continue to grow in Christ while we go to college or into the workforce. Sunday School classes will resume on September 11. On May 1 our youth did a fantastic job leading the congregation in worship. Youth led in singing, reading Scripture, and praying, while one of our high school seniors, Matthew, delivered an excellent sermon. We will have another Youth Sunday on October 9. Four of our youth were confirmed on May 15, Pentecost Sunday. The night before, the families of these youth gathered for a delicious BBQ dinner and to hear faith statements that our confirmands wrote. 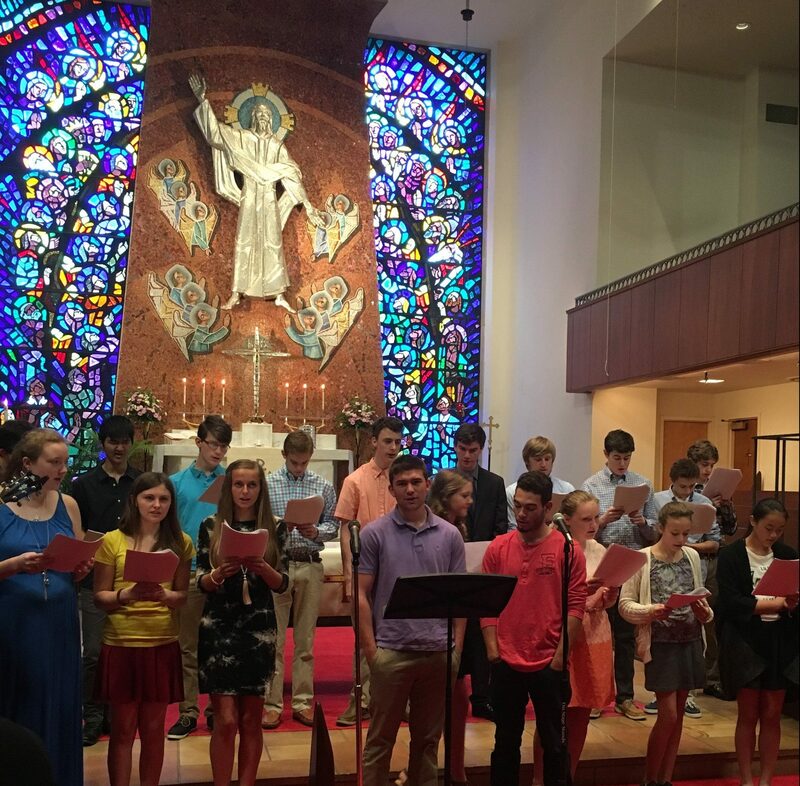 The confirmands chose a part of the Ten Commandments, the Lord’s Prayer, or the Apostles’ Creed and connected it to their lives. They did a great job! 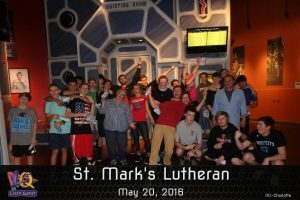 Our youth enjoyed a fun Lock-in on May 20. We began the night by going to LaserQuest for a couple games of laser tag. We returned to the church for a time of worship, games, fellowship, snacks, and a movie. Lock-ins are one of our youth group’s favorite activities! 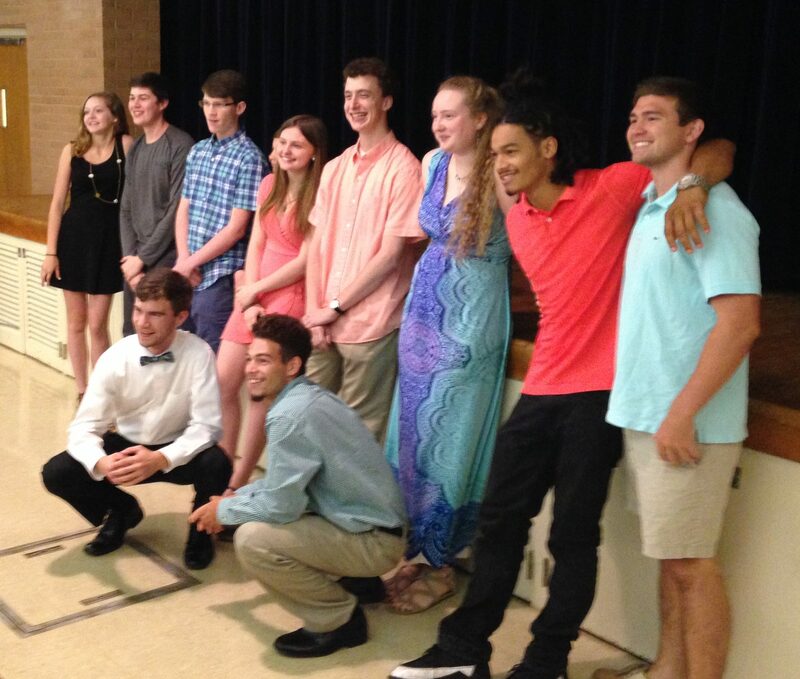 On June 5 we celebrated our two seniors, Dominic and Matthew, with a lunch following the 10:30 worship services. We are proud of them and how they take their faith and their life in the church seriously! A local mission week on July 17-21. Some places we are serving during the week: Holy Angels of Belmont, Sow Much Good, Community Charter School, St. Mark’s Soup Kitchen. 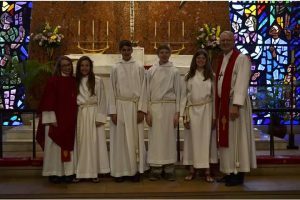 Questions about the youth ministry at St. Mark’s? Contact the Director of Youth Ministry, Alex English, at DYMAlexEnglish@gmail.com.